Karen Bachmeier, 74, of Las Vegas, NV, formerly of Raleigh, ND, passed away January 27, 2019 at Mountain View Medical Center, Las Vegas, NV. Mass of Christian Burial will be held at 10:30 AM on Friday, February 8, 2019 at Spirit of Life Catholic Church, Mandan, ND. Burial will be at the North Dakota Veterans Cemetery. Visitation will be held Thursday, February 7, 2019 from 5:00-8:00 PM at Weigel Funeral Home, Mandan, with a Rosary/Parish Vigil at 7:00 PM. Visitation will continue at the church one hour prior to the service on Friday. Karen Frances Bachmeier was born February 22, 1944 to Christian and Frances (Stegmiller) Friesz in Fallon, ND where she was also raised and educated, graduating from Mandan High School in 1962. On June 18, 1963, Karen married Robert Bachmeier. They farmed together, and it was her great joy to farm with the love of her life. She also worked at the Bar and Grill where she enjoyed visiting with people. Planting huge flower gardens, baking goodies, cooking excellent meals and spending time with family were always Karen’s favorite past times. She also loved working on puzzles, crafts, sewing, and Prairie Dog hunting. This talented lady could put on overalls to milk the cows and then transform into a beautiful lady in a dress for the night out. She was an amazing mother and grandmother whose face would light up whenever she was with her grandchildren. Mom and Dad are reunited in heaven drinking coffee and eating brownies. 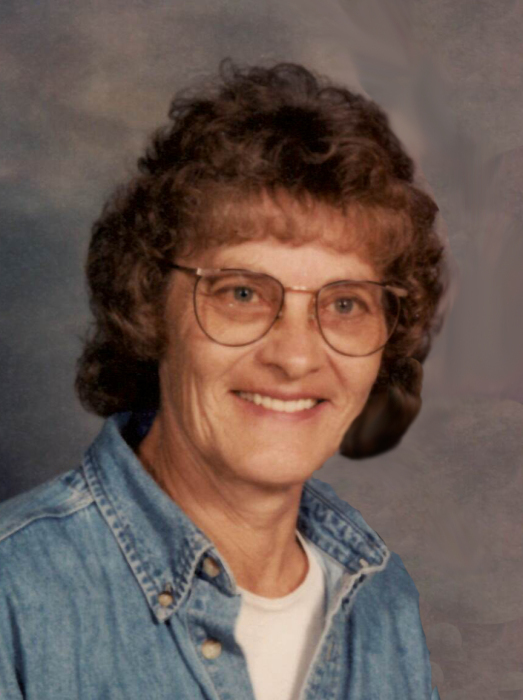 Karen will be deeply missed by her children, Wade (Edie) Bachmeier of Mandan, ND, Chris (Randy) Himmelspach of Mandan, ND, Curt Bachmeier of Stanton/Raleigh, ND, Scott (Dixie) Bachmeier of Rhame, ND, and KayLa Moos of Las Vegas, NV; grandchildren, April Bjorklund, Ayden and Avery Himmelspach, Karly Kruckenberg, and Hannah Moos; brother, Gerald (Darlene) Friesz; sister, Geraldine (Pete) Schaner, brothers and sisters in-law, Will (Doris) Bachmeier, Leonard (Lillian) Bachmeier, Dean (Norma) Bachmeier, and Jean Bachmeier; and many nieces and nephews. She was preceded in death by her parents, Frances and Christian; her husband, Robert; brother, Warren (Gladys) Friesz; baby brother, Adam; and brother-in-law, Donald Bachmeier. Go to Karen's Tribute Wall to sign the online guestbook and share memories with her family.